Are you still thinking about going Mobile or responsive? Are you still thinking about going Mobile? Are you still thinking if your company should adopt mobile / responsive design as part of your strategy? Almost 50% of US population is already using Smartphone. 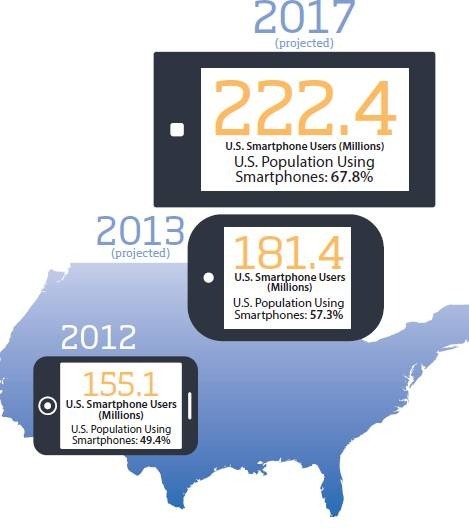 It is projected that there will be 222.4 million Smartphone users by 2017 which is a whopping 67.8% of US population.